The following civilian Executive Nominations for the State Department were confirmed by the Senate on August 7, 2009. Nominations flagged with an asterisk were approved subject to the nominee’s commitment to respond to requests to appear and testify before any duly constituted committee of the Senate. It looks like two nominees could not beat the summer rush. You will note that Arturo A. Valenzuela, the nominee to be Assistant Secretary of State for Western Hemisphere Affairs, and Thomas Alfred Shannon, Jr., the nominee to be US Ambassador to Brazil (who also preceded Mr. Valenzuela at WHA) are not on this list. I thought these two might get snared on either ethanol or Honduras. So Senator Grassley lifted his hold on Mr. Shannon, but it now looks like Senator Jim DeMint (R-SC) has put a hold on these two nominees. Senator DeMint placed a hold these two nominations briefly at the SFRC in July. Liz Harper reports that according to DeMint’s office the nominations would again be held over. Why? Apparently “to again express dissatisfaction with the administration’s handling of Honduras.” Oh, joy! The Senate is now on summer break; it will resume business on Tuesday, September 8. Jeffrey D. Feltman, of Ohio, a Career Member of the Senior Foreign Service, Class of Minister-Counselor, to be an Assistant Secretary of State (Near Eastern Affairs). Philip L. Verveer, of the District of Columbia, for the rank of Ambassador during his tenure of service as Deputy Assistant Secretary of State for International Communications and Information Policy in the Bureau of Economic, Energy, and Business Affairs and U. S. Coordinator for International Communications and Information Policy. Plenipotentiary of the United States of America to Mexico. Maria Otero, of the District of Columbia, to be an Under Secretary of State (Democracy and Global Affairs). Michael Anthony Battle, Sr., of Georgia, to be Representative of the United States of America to the African Union, with the rank and status of Ambassador Extraordinary and Plenipotentiary. Martha Larzelere Campbell, of Michigan, a Career Member of the Senior Foreign Service, Class of Minister-Counselor, to be Ambassador Extraordinary and Plenipotentiary of the United States of America to the Republic of the Marshall Islands. John R. Bass, of New York, a Career Member of the Senior Foreign Service, Class of Counselor, to be Ambassador Extraordinary and Plenipotentiary of the United States of America to Georgia. Ertharin Cousin, of Illinois, for the rank of Ambassador during her tenure of service as U. S. Representative to the United Nations Agencies for Food and Agriculture. James B. Foley, of New York, a Career Member of the Senior Foreign Service, Class of Minister-Counselor, to be Ambassador Extraordinary and Plenipotentiary of the United States of America to the Republic of Croatia. Kenneth E. Gross, Jr., of Virginia, a Career Member of the Senior Foreign Service, Class of Counselor, to be Ambassador Extraordinary and Plenipotentiary of the United States of America to the Republic of Tajikistan. Teddy Bernard Taylor, of Maryland, a Career Member of the Senior Foreign Service, Class of Minister-Counselor, to be Ambassador Extraordinary and Plenipotentiary of the United States of America to Papua New Guinea, and to serve concurrently and without additional compensation as Ambassador Extraordinary and Plenipotentiary of the United States of America to the Solomon Islands and Ambassador Extraordinary and Plenipotentiary of the United States of America to the Republic of Vanuatu. John Victor Roos, of California, to be Ambassador Extraordinary and Plenipotentiary of the United States of America to Japan. Judith Gail Garber, of Virginia, a Career Member of the Senior Foreign Service, Class of Minister-Counselor to be Ambassador Extraordinary and Plenipotentiary of the United States of America to the Republic of Latvia. Kerri-Ann Jones, of Maine, to be Assistant Secretary of State for Oceans and International Environmental and Scientific Affairs. 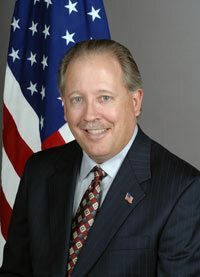 David Killion, of the District of Columbia, for the rank of Ambassador during his tenure of service as the United States Permanent Representative to the United Nations Educational, Scientific, and Cultural Organization. James Knight, of Alabama, a Career Member of the Senior Foreign Service, Class of Counselor, to be Ambassador Extraordinary and Plenipotentiary of the United States of America to the Republic of Benin. Karen Kornbluh, of New York, to be Representative of the United States of America to the Organization for Economic Cooperation and Development, with the rank of Ambassador. Bruce J. Oreck, of Colorado, to be Ambassador Extraordinary and Plenipotentiary of the United States of America to the Republic of Finland. Jon M. Huntsman, Jr., of Utah, to be Ambassador Extraordinary and Plenipotentiary of the United States of America to the People’s Republic of China. Douglas W. Kmiec, of California, to be Ambassador Extraordinary and Plenipotentiary of the United States of America to the Republic of Malta. Jonathan S. Addleton, of Georgia, a Career Member of the Senior Foreign Service, Class of Career Minister, to be Ambassador Extraordinary and Plenipotentiary of the United States of America to Mongolia. Matthew Winthrop Barzun, of Kentucky, to be Ambassador Extraordinary and Plenipotentiary of the United States of America to Sweden. William Carlton Eacho, III, of Maryland, to be Ambassador Extraordinary and Plenipotentiary of the United States of America to the Republic of Austria. 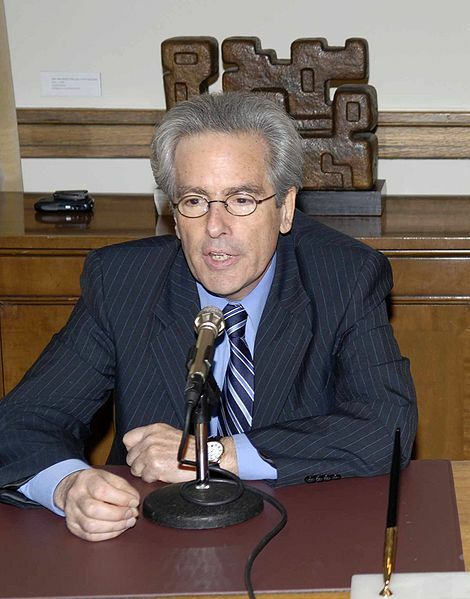 Philip D. Murphy, of New Jersey, to be Ambassador Extraordinary and Plenipotentiary of the United States of America to the Federal Republic of Germany. Glyn T. Davies, of the District of Columbia, a Career Member of the Senior Foreign Service, Class of Minister-Counselor, to be Representative of the United States of America to the Vienna Office of the United Nations, with the rank of Ambassador. Glyn T. Davies, of the District of Columbia, a Career Member of the Senior Foreign Service, Class of Minister-Counselor, to be Representative of the United States of America to the International Atomic Energy Agency, with the rank of Ambassador. Aaron S. Williams, of Virginia, to be Director of the Peace Corps.